All of the crochet patterns, tutorials and inspiration from the Blog. If there's a specific pattern you're hoping to find, the search bar at the top left might come in handy. I originally made this little basket to test out a yarn that caught me by happy surprise and to try a cute new pattern at the same time. 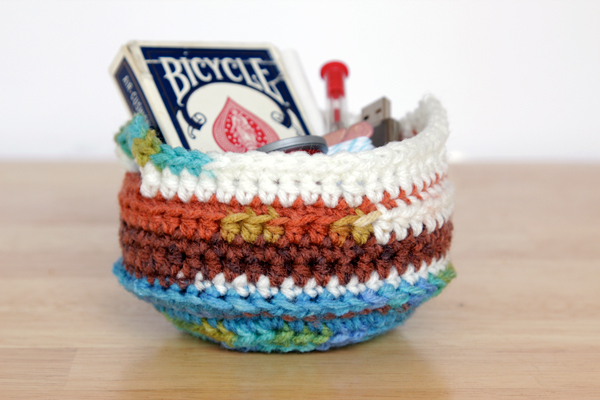 I wasn’t planning on blogging it, but I realized I used this little 4ish inch basket for a very important purpose: a catch-all for desk ephemera. 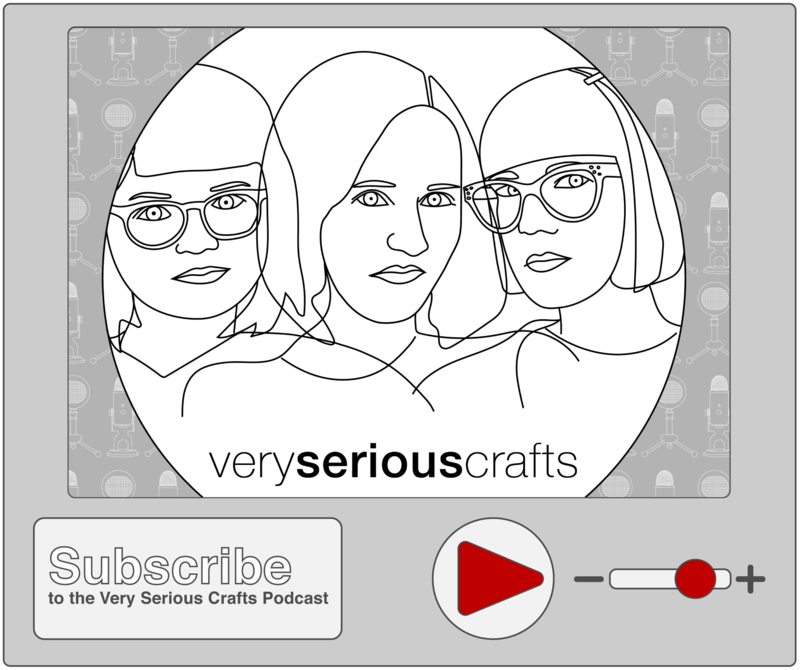 For a crafter like me, it’s everything from a jump drive to miscellaneous craft supplies to a pack of cards. 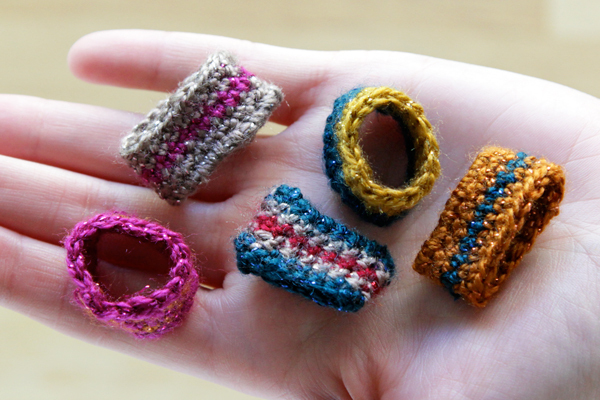 These simple crocheted rings are made with a fun yarn and just a few rows of single crochet, and they’re completely addictive. Check out my free pattern for them as well as tips for getting started. 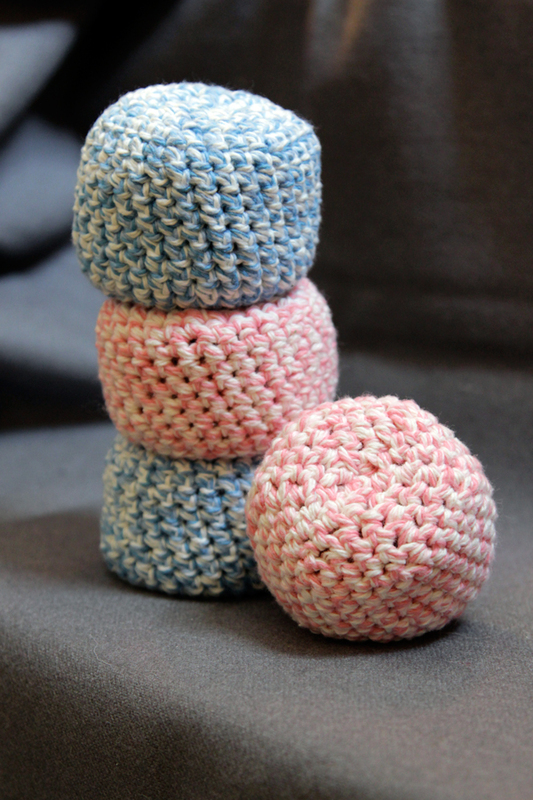 This week the lovely Marie from Make & Takes invited me to design & share an easy crochet pattern in her crochet-a-day series, so I went old school and put together an easy (and super addictive) crochet hacky sack pattern. 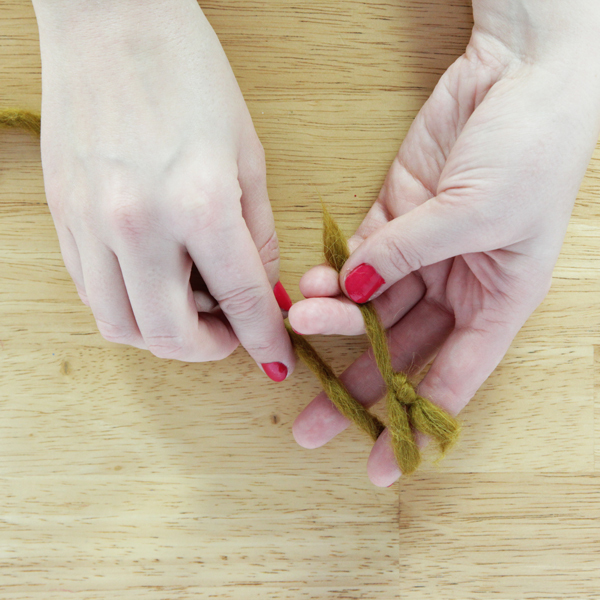 Add to your crafty toolkit by learning to finger knit, a super simple & useful skill! 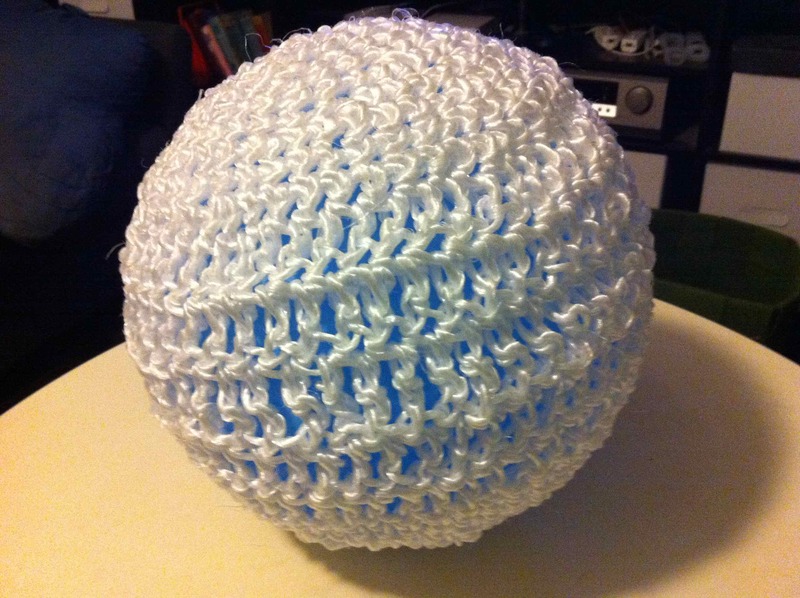 Crochet week day 3 goes avant garde with plastic twine, mason line, and other ideas.